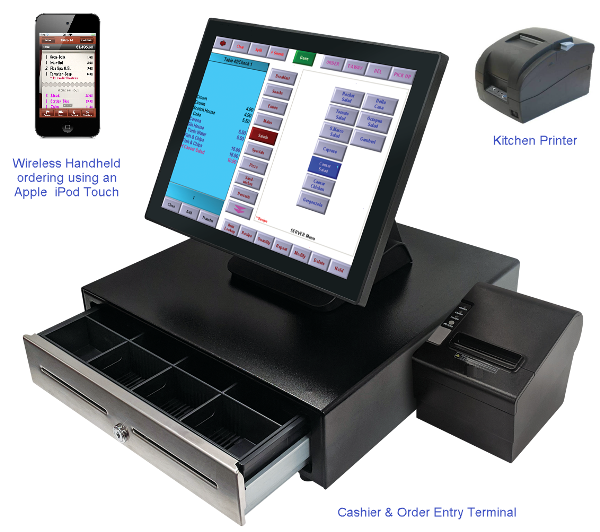 The feature list of the Aloha POS System extensive. Some of the main features are listed below. Apple iPod Touch and iPhone. An introduction is not really required! 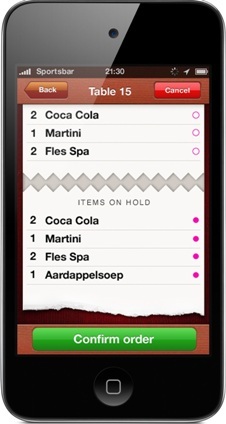 TIM app is developed by Index Hospitality Systems based in the Netherlands. 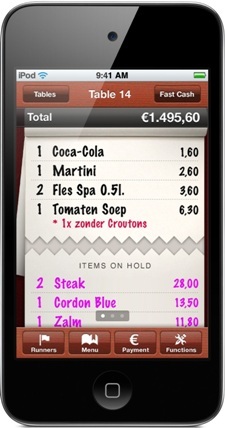 'Index' is a well established Aloha POS provider in the European marketplace. 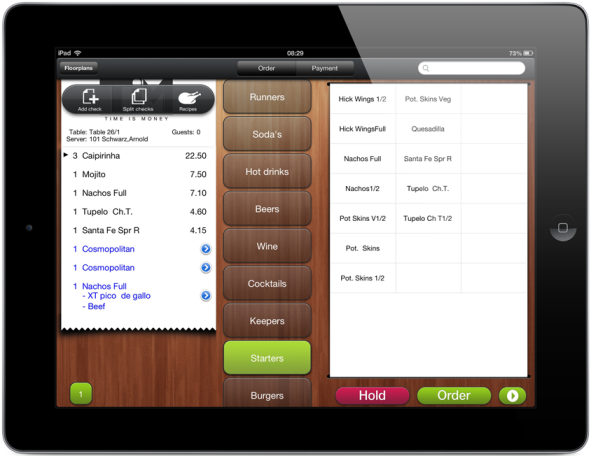 They also develop related POS Software solutions, such as TIM. TIM requires the Aloha POS (Table Service) System that has at least one "fixed" POS Terminal. Usually the cashiers POS terminal. 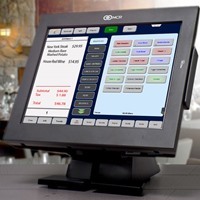 The Aloha POS Software version must be 6.7 or higher. A quality wireless access point. 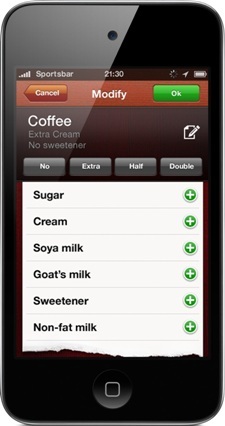 Apple "iPod Touch" as the wireless handheld order taking device. Apple iPhone is just as good although the extra expense is not required. Maybe use the restaurant owners iPhone as a backup! 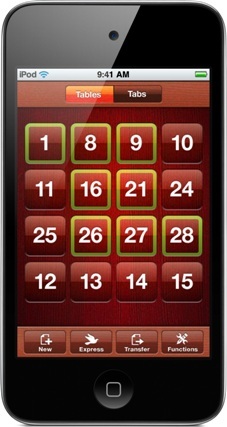 If you would like to try TIM on your own iPod Touch or iPhone you are welcome to download the free demonstration version from the Apple app Store. 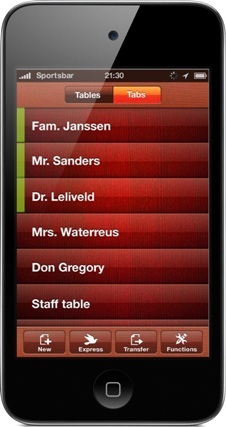 Search for "TIM" or view details at TIM Wireless Handheld Ordering. If you have any questions in regards to using the TIM demonstration app, then feel free to contact us. Initial software installation and configuration is included in the price. 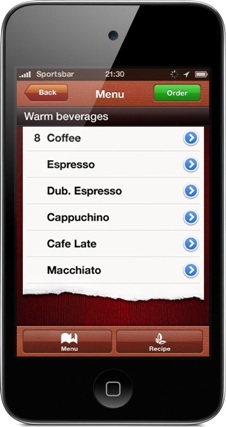 This also includes programming your complete food & beverage menu (up to 400 items), employee list, receipt header and all other required system options. 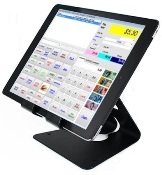 After your purchase, an Access POS representative will contact you to discuss the various programming options and request your detailed food & beverage menus prior to freighting the Restaurant POS System - Package I (Aloha POS - Wireless Handheld Ordering) package. 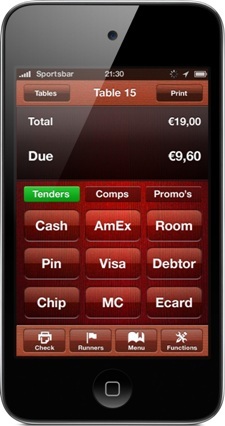 PROSPA PAY Buy over 13 weekly payments of $ 599.92 (ex. GST). No Interest ever and No Fees if you pay on time. Contact Prospa Pay online at PROSPA PAY or call 1300 706 983 for a simple over the phone application. No obligation. SILVER CHEF Rent-Try-Buy. Rent from $ 98.99 (ex. GST) per week for a minimum of 12 months before you decide to either Buy (with 75% of prepaid rental being deducted from the original cash price), Upgrade or Return at no further obligation. Apply online at SILVER CHEF or call 1800 337 153 for a simple over the phone application. No obligation.